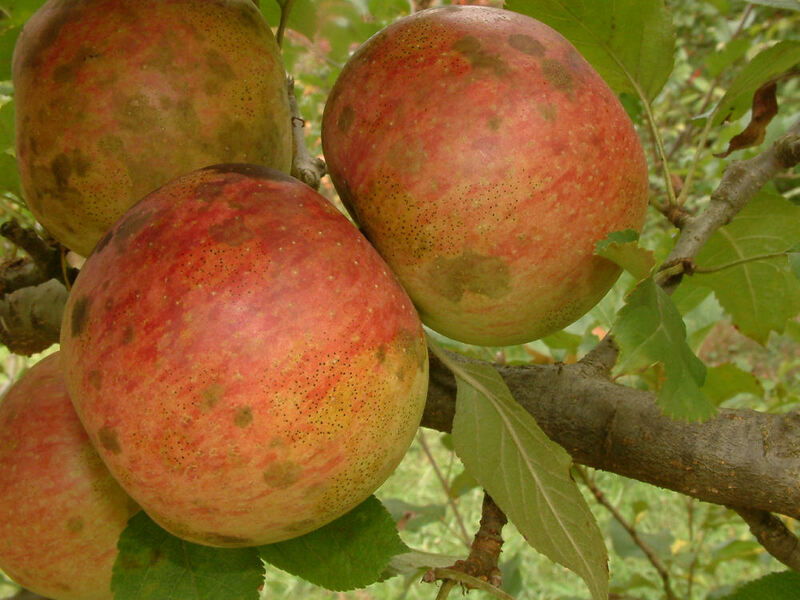 Most commonly known as Seek-No-Further, this high-quality apple originated near Westfield, Massachusetts, around 1796 and was widely sold in New York markets in the 1900’s. Beach (1905) describes it as an apple with “peculiarly pleasant, rich, mild subacid flavor”. Fruit is medium-sized, roundish-conical with dull greenish-yellow skin, shaded and splashed with orangish-red and striped with carmine. A thin bloom can give a bluish cast to the skin. Flesh is white tinged with yellow and is firm, crisp, tender and juicy and is very aromatic. Ripens September-October and is a very good keeper.